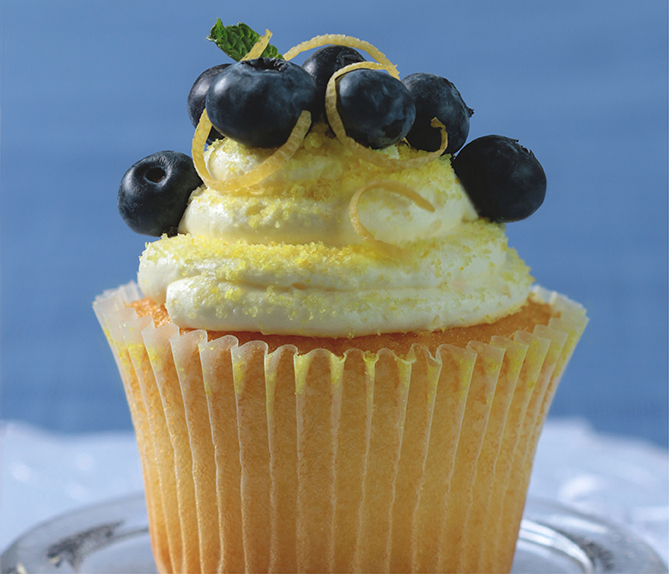 Arrange berries in a cluster on top of each cupcake, pressing into frosting slightly to secure. Sprinkle with lemon zest and garnish with a mint leaf. The lemon zest and mint should be added just before serving. To garnish ahead replace zest and mint with a piece of lemon jelly fruit slices.